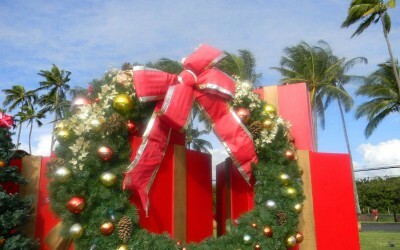 The phrase Mele Kalikimaka and Hawaiian Christmas traditions in general didn’t begin until the first Christian missionaries came to the islands in 1820. From that point on, Christianity spread quickly throughout the islands and words for Christmas and all other Christian concepts were added to the Hawaiian language as missionaries translated the Bible. In 1856, King Kamehameha IV declared December 25th as Hawaii’s Thanksgiving Day. As for Santa Claus, his first recorded sighting in Hawaii was in 1858 in Honolulu when he was spotted passing out gifts. 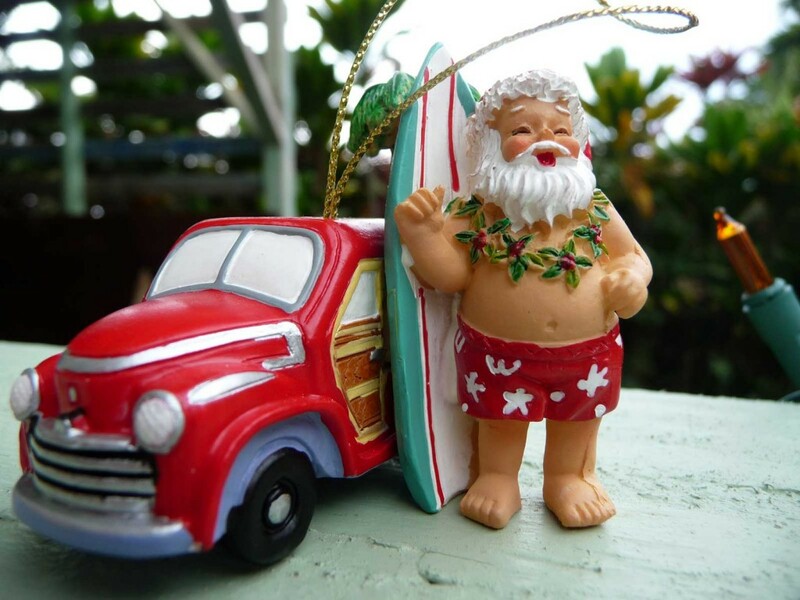 As this ornament depicts, Santa often comes wearing a flower lei and red board shorts. In this case, in place of reindeer he opted for a surfboard and vintage cruiser.